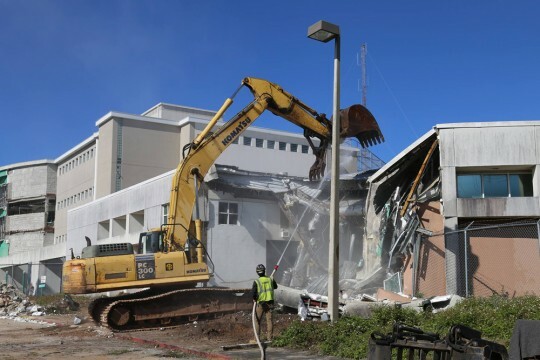 Demolition is now on the former jail building that was heavily damaged in an explosion in 2014. 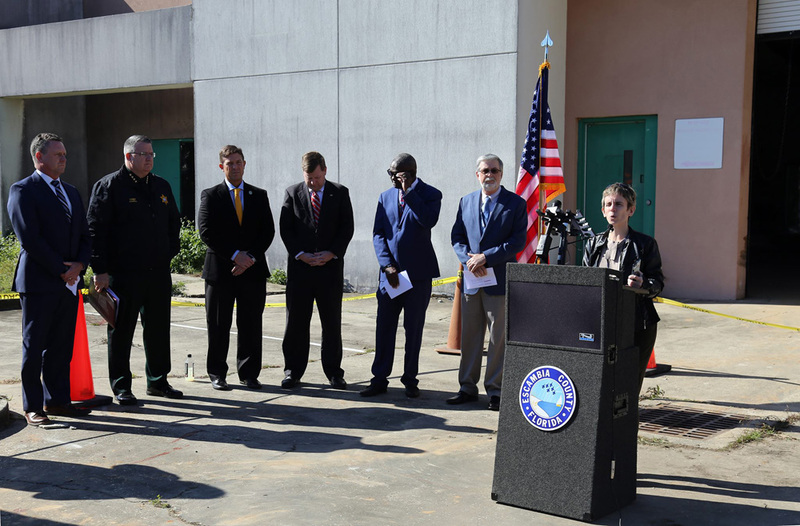 Escambia County hosted a ceremony this morning to mark the demolition of the former Escambia County Central Booking and Detention Facility. The brief program included the history of the building, plans for the site, and a moment of silence and prayers for the approximately 600 inmates and staff who were in the building when an explosion in the basement laundry room occurred during the April 2014 flooding event. The explosion killed two and injured 184. Robert Earl Simmons, age 54 of Railroad Street in McDavid, was arrested on multiple felony animal cruelty charges three months before the jail explosion. He was being held without bond due to an alleged probation violation in a 2012 grand theft and trespassing case. He was due for a probation violation hearing to determine his possible bond eligibility. David Paul Weinstein, age 45, was arrested February 28, 2014, for fraud providing false owner information a pawned item, dealing in stolen property and grand theft. His bond was set at $12,500, but he was placed under a “hold” by the Hillsborough County Sheriff’s Office where he had an outstanding warrant. His trial in Escambia County was set for mid-July 2014. 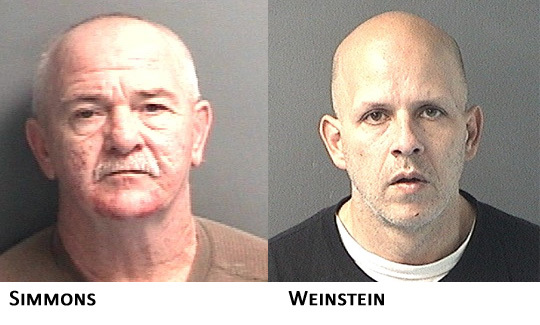 Both men were found dead surrounded by debris in the same part of the jail. About 600 inmates were inside when the explosion caused by a natural gas leak ripped through the Escambia County Central Booking and Detention Facility on West Leonard Street. People as far away as Molino and Gulf Breeze reported feeling or hearing the blast. what about the officer that was parilized? The TAX PAYERS will pay the bill .. thanks sheriff gas co.